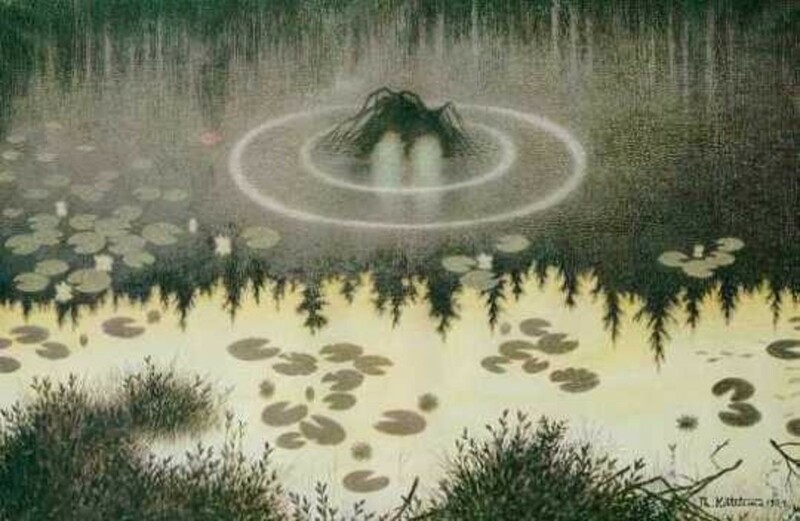 "Nøkken" (The Water Spirit) by Theodor Severin Kittelsen. Folktales are funny things. They remind us of a historical event as seen through the eye of the common man, they warn us against dangers, and teach us about actions and consequences. Some even contain themes that have survived the Changing Times, when the New Faith swept across the British Isles. Even to the modern day, folklore and folk remedies remember old beliefs, superstitions, spirits, and deities. 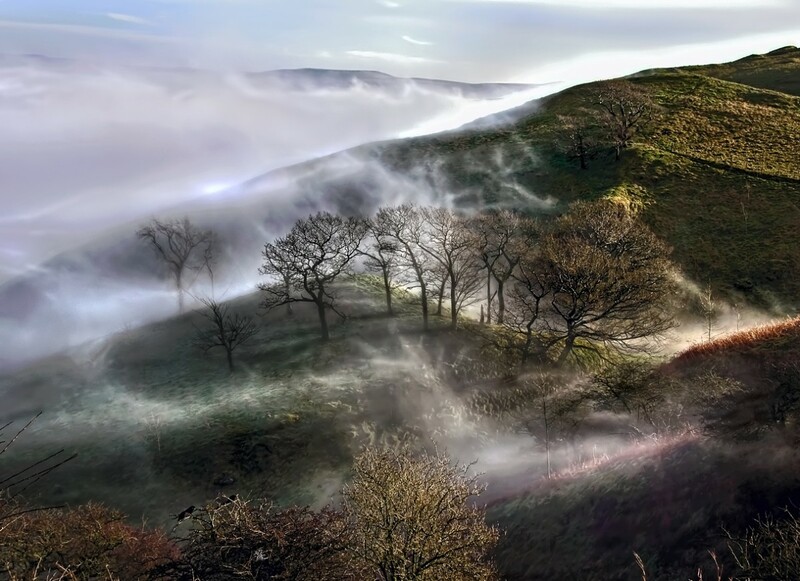 This story from Derbyshire contains many such references from the times when people appeased their water spirits with libations, kept in favour with the Fair Folk, and held on to charms to keep them safe. 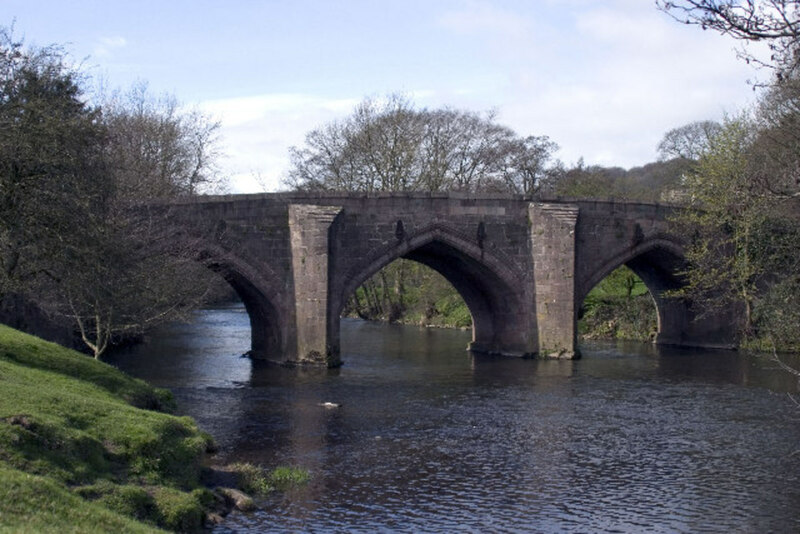 The hungry spirit that dwells in the River Derwent is known as a water weird, and this may be some corruption of an older belief that rivers have their own spirits, nymphs, or other deities. Instead of taking the soul of our hero, it seems to be appeased by other items granted to him by the Fair Folk . Written in my own words, I have pulled together elements from several versions of this story that I have heard, in a bid to make this a fresh account for the reader. There are some inaccuracies in the legend depending on which version you read. This is quite a common occurrence when a folktale is stretched over the years. 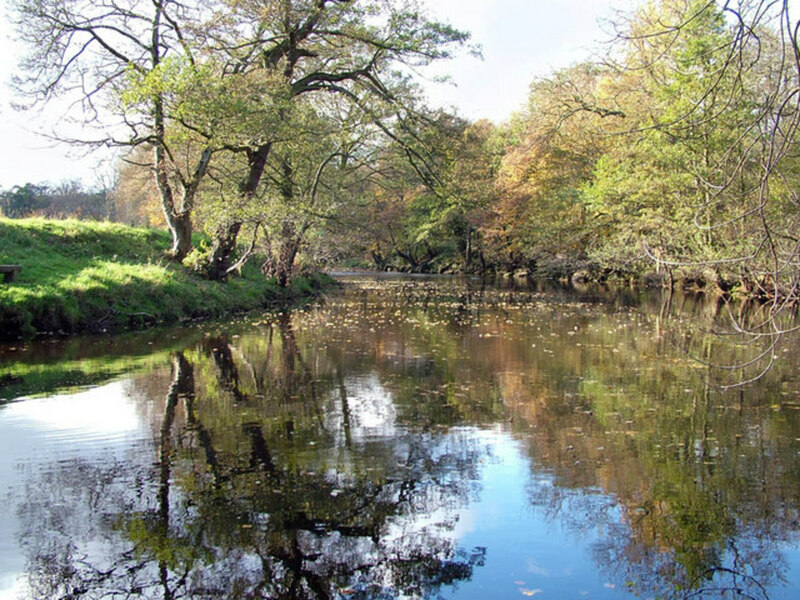 One story names the river the River Darant, which runs in Kent. I have tried to put this right by comparing the setting of this tale, Cromford, with the nearest river which is indeed the Derwent. One particular variant with this tale sticks out to me, and gives us a clue in understanding the confusion between ash trees and yew trees in our mythology. In one telling of this story, the malevolent tree that serves the water weird is described as being a barren ash tree . Another version describes tree as a being a gnarled yew . There have been numerous debates among those who study Norse mythology about the great tree Yggdrasil, which is generally accepted in popular culture as being a great ash tree. However, it is also possible that it is a yew tree, and I would believe this to be correct. Yggdrasil is described as being evergreen, but a common ash tree will lose its leaves each autumn. Often seen as a sacred tree representing immortality and the underworld, the yew tree remains green all year round. Strike it with lightning, and it will keep growing. The tangle of limbs seem to be indestructible. Remember too, that the old English name for a yew is a "needle ash". The Old Norse "yggja" and Germanic "igwja" are words for the yew, whilst the Old Norse for ash is "askr". This tale also contains elements of old folk customs and fairy beliefs. For the sake of my re-telling, I have gone with a barren ash, as these gnarled half-dead things were believed to be evil and cursed. I would not wish to spoil the reputation of a lovely yew tree by insinuating that it might try to throw you in a river! However, if you were to see the tree as a yew, then the story might take on another meaning; that the shrines of Christianity give protection against the malice of the Old Gods. In the lovely Derbyshire Dales, a small village named Cromford can be found, just a short distance from the banks of the River Derwent. No other soul was to be seen at this hour, as all the sensible folk were tucked up in their beds. 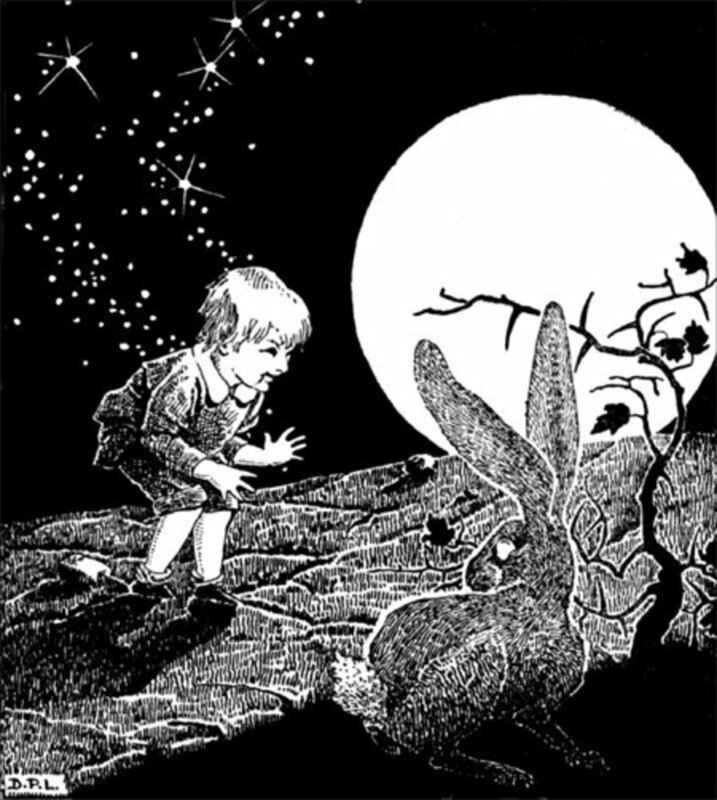 Only a fox barking broke the silence of the night, and the lad jumped with fright when he came across an elderly lady stood on her own in the middle of the road. “I cannot delay, for my mother is ill and needs me.” said the young man. Hearing no reply, he looked up and to his astonishment the road was empty. Looking about himself, it seemed as if the old woman had vanished into thin air. Thinking that he must be imagining things, explaining it away to himself that she must have just dashed off away and out of sight, he continued on his journey. It was not long before he came across the old woman again, and grinning at himself for his foolishness, he quickened his pace to catch up with her and continue their conversation. But as she turned to face him it became apparent that this was a different woman, even though she too was clad all in green linen. Her face was creased with wrinkles, but her eyes sparkled with an ageless youthfulness. But like the other woman, she too vanished out of sight before giving a reply. Now the young man was a tad frightened by this point, and he hurried himself onwards so that he might reach Cromford as quickly as he might. 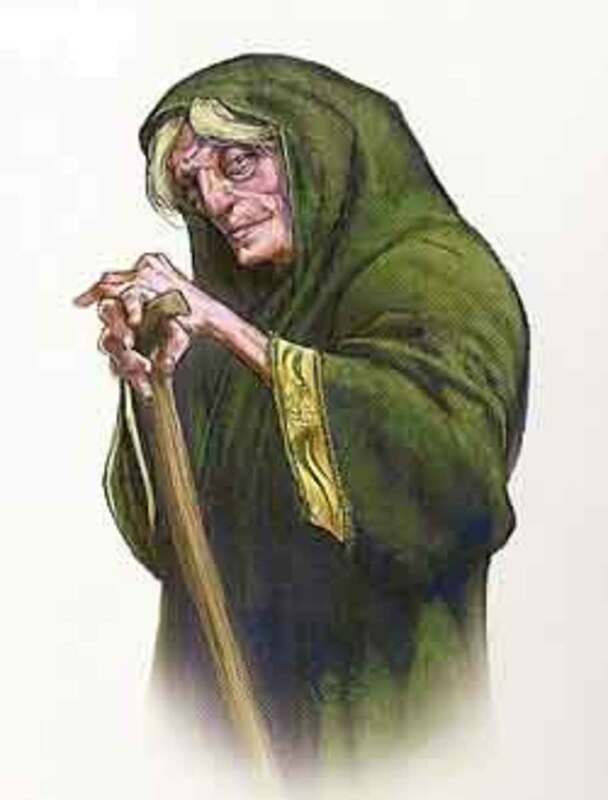 The way the night was going, he was not surprised at all when he came across a third old woman stood in the road, again clad from head to foot in green. “The road is dangerous at night, why do you travel so late?” she asked. The lad told his story to her about how his mother was ill, and how he had no time to delay in reaching Cromford. 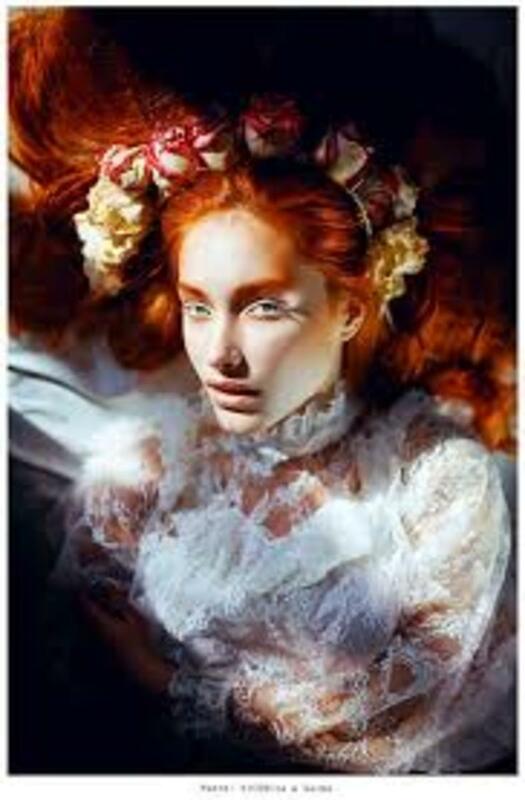 “Then take this.” she replied, planting in his hand a posy of daisies, beloved of the old goddess Freyja, bringer of Spring. Holding the three posies tightly, the lad began to run. The edge of the sky was growing brighter, and soon the moon would be up. The road became treacherous and filled with ruts, and despite all the warnings, he slowed his pace, afraid that he might fall and twist his ankle. And so it was, that the moon was high in the sky by the time he reached the bridge that spanned the River Derwent. Its face shone down upon the inky water, the shadows of the trees along the bank waving their bony limbs about like fingers as the wind blew through them. “Crooker!” yelled the young man, throwing the daisies over his left shoulder as he ran for the bridge. At last he had found out who this terrible character was. “Give!” demanded Crooker, urging the tree to toss its prize into the river. The lad heard a splash in the waters behind him, and felt the branches reaching out once more. 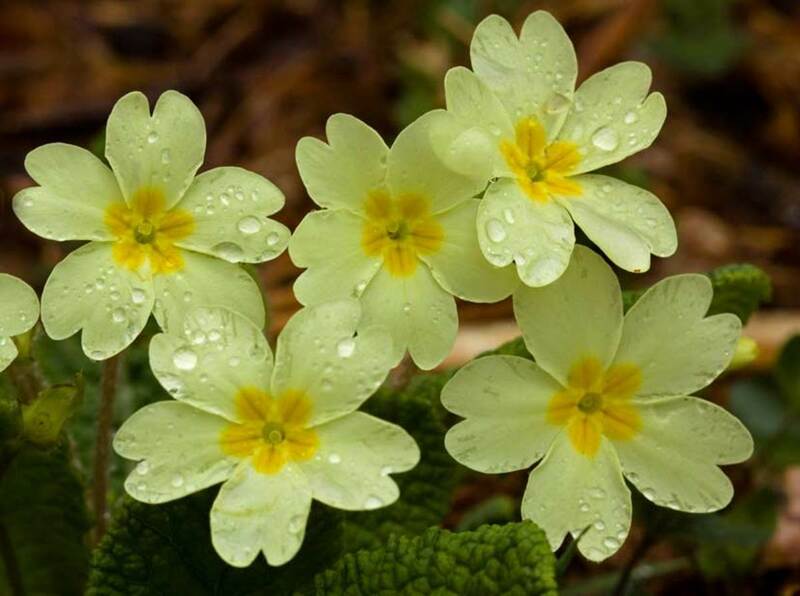 The bony fingers of the barren ash brushed his cloak, and fearing for his life he threw the posy of primroses over his left shoulder and struggled free. “Give!” hissed Crooker, the waters bubbling noisily. The lad heard another splash and realised that the tree was throwing the posies to the river instead of him. The bridge was not far to go now, so with a spurt of energy he urged himself onwards. Angry that its prey was escaping its clutches, Crooker called to be fed with a terrible urgency. The shadowy ash tree clawed and snatched at the young man, gripping him by the hair. “Hungry! Hungry! Hungry!” hissed the water weird, sure that this time they’d got him. The lad twisted and tangled to face the ash, seeing a hole in its trunk snapping at him like a mouth full of jagged teeth. He threw his posy of St. John’s Wort right at the tree as the wind shrieked about him. The ash lost its grip, and as the lad broke free he ran for his life for the bridge. As the River Derwent raged into a frothy torrent of white, it seemed to climb higher up the bank to let the water weird get nearer to its prey. “Give!” roared Crooker, and the lad heard one final splash before he passed out with the shock of it all. That night, the people of Cromford Village had heard the terrible wind and the roaring waters, and knew that something had disturbed Crooker. On nights like this, someone usually died and so they sent for the Priest, fearing that Crooker had claimed yet another victim. Yet when they reached the bridge, they found the lad fast asleep at the shrine, with the river placid and serene flowing along its course. The old ash was still, and only the more eagle-eyed among them would notice the scraps of cloak tangled in its lower branches. The young lad reached his mother’s house safely that morning, and by some miracle her health was restored. Nobody knew how or why, but I have no doubt that the fairy women had something to do with it. Must stop reading these stories of yours, here alone in my dark home office. Hi, I love old fairy folk tales, and this one I hadn't heard of, so this is great! Thanks guys! Sorry Shane, haven't had any time for gaming lately. Very busy with all of the writing. It sounds really good fun though, I will try to have a go when I am able. Another fascinating hub Polly..voted up! Great story, was on the edge of my seat. I love old fairy tales like this.